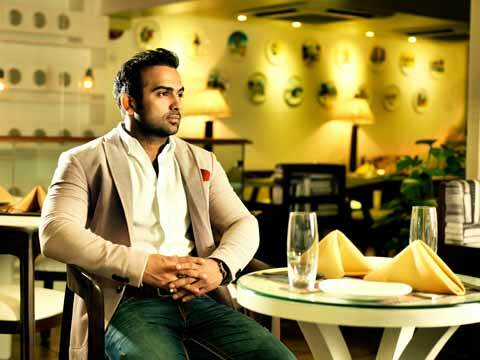 In an exclusive interaction with Restaurant India, Bhanu Nehra, brother of cricketer Ashish Nehra, who owns restaurants Mia Bella and Schengen in the city, shares his plan for the cricket season. How important is location in placing your brand? What have you kept in mind in choosing location for both your brands? Mia Bella is located in Hauz Khas Village, which is known for lake and heritage tomb. So I kept in mind that I need undisrupted view of the lake from the property because the USP of the location is lake view. Now, if we talk about Schengen , I chose Malcha Marg because it is in the heart of diplomatic society and is near to top locations like Khan Market and CP. The idea was totally to create a European cafe in the heart of embassy, so that they can relate to it to their own places. How do you target the customers? We are very active on social media which includes Facebook, Twitter and Instagram. We invest good amount on Facebook, as it is the best place to connect with your customer. Whatever new dish, dessert or cocktail is made and any festival we organise, we target different audiences for different event. It is very important to know who your client is and what you are selling to whom. Meanwhile, we also organise festivals, deals and offers and also advertise through traditional media like print and radio. Are you doing anything special this cricket season? Yes, we will be doing some IPL dinners at both our restaurants. For Delhi Daredevil and Chennai Super kings, we will also distribute free autograph caps and different merchandise to the customers. We are aggressively looking at expanding our brands. We are planning to take Mia Bella brands to Mumbai by end of this year and Schengen in Delhi-NCR region. We are also planning to open 4-5 bakeries in Delhi-NCR by the end of 2015. What is your investment scenario? Are you looking for any external accruals? Yes, we are in talks with few companies for investment for a 3-year plan. Our target is to make a turnover of 50 crores by the end of 2017. Loot Lo is one of our attractive features- KhauGal..